ICM Controls Corporation, a leader in the manufacture and supply of electronic controls to the HVAC/R industry, introduces its new i3 Series of touchscreen thermostats, designed to bring affordability through innovation to the touchscreen marketplace. The series features fourteen programmable models, including a family of Wi-Fi models capable of being remotely controlled via an app on smart phones. Set-up takes just seconds on the Wi-Fi model using the ICM App, which is available for both iOS and Android platforms. Other models include options for dual powered operation and humidity controls. 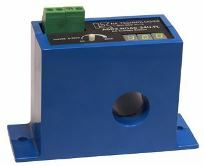 For more information visit www.icmcontrols.com. NK Technologies new ASD Series Current Sensing Switches provide a limit alarm contact with the easiest adjustment method ever designed. These current sensing switches feature a single turn potentiometer, allowing the trip point to be set before the sensor is installed or before the monitored circuit is energized. In conjunction, the ASD features an LED display for quick visual indication of where the contact changes, making the ASD the easiest and most accurate setpoint adjustment available. This easily adjustable and precise setpoint simplifies and expedites startup and improves safety by allowing trip point adjustment, with no power through the sensing window. For more information visit www.nktechnologies.com. Viconics' latest addition to the VT8000 Series Room Controllers: The VT8300 Low Voltage Fan Coil and Zone Controller. You get all the great functionality, comfort, control and energy savings you expect from a modern controller with the added flexibility to choose even more great customizable options. Simple installation and maintenance free functionality makes the VT8300 the solution with the lowest total installed cost on the market today. A fully user customizable digital multi-language touch screen display provides increased flexibility to suit any of your current or future requirements. You now have the option to match our customizable screen colour schemes to your room décor or display a personalised on screen message in the language of your choice. Personalized onscreen logo, status messages or even servicing contact information can be configured for a more personalized occupant experience. For more information please visit our VT8300 product page. Silicon Designs, Inc., (SDI) a global industry leader in the design and manufacture of highly rugged industrial-grade MEMS capacitive accelerometer chips, modules, and related data acquisition, has announced the global market launch of its Model 3340 G-Logger. The Model 3340 is a three-channel, low cost, portable data acquisition system, offering powerful FFT analysis and display, as well as real-time acceleration and GPS data collection and viewing, all within the same compact package. It is designed to optimize the low-noise performance of all Silicon Designs single and triaxial MEMS variable capacitance accelerometers with analog output and 8-32 VDC excitation. Setra Systems, Inc., a leading manufacturer and designer of environmental sensors, announces the release of the Power Patrol, a Networked 3-Phase Power and Energy Meter. The Power Patrol is the industry’s most versatile meter to date, offering interchangeability of Rogowski Coil CT’s and Standard CT’s, as well as multiple field selectable communication protocols in the same device (BACnet/Modbus/Pulse). The Setra Power Patrol allows for the integration of energy monitoring into building automation systems (BAS), switchgear, renewable energy systems and data centers.